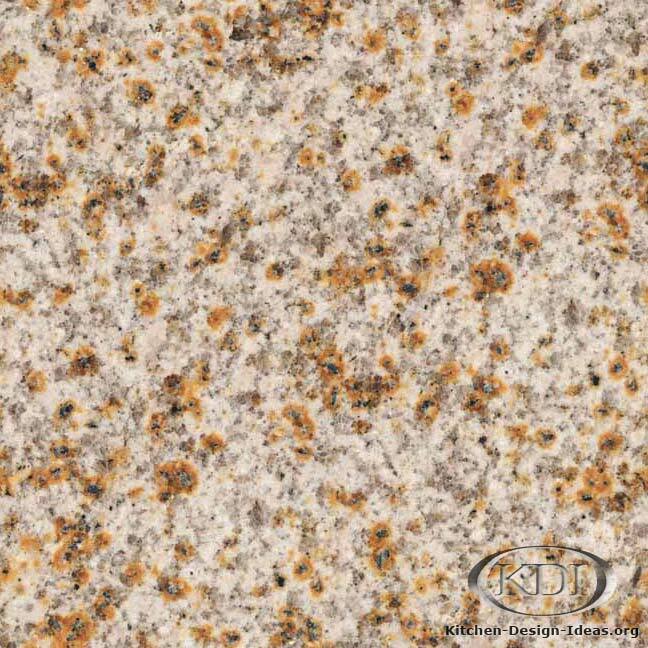 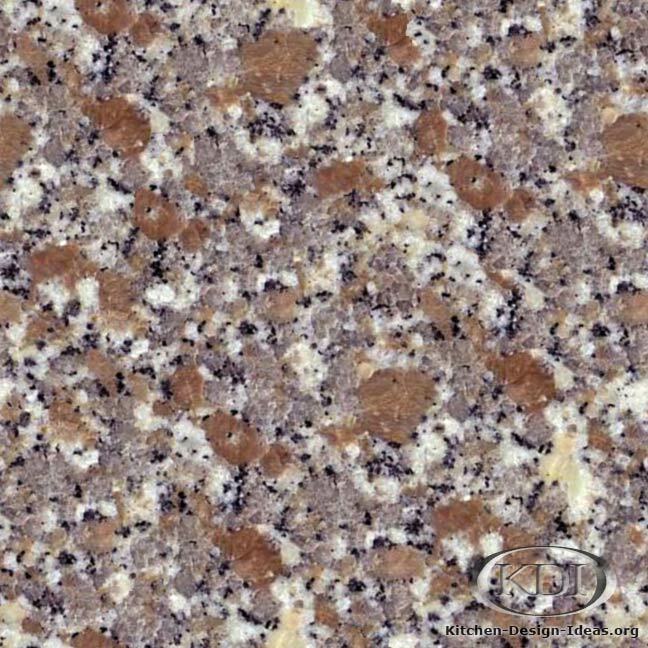 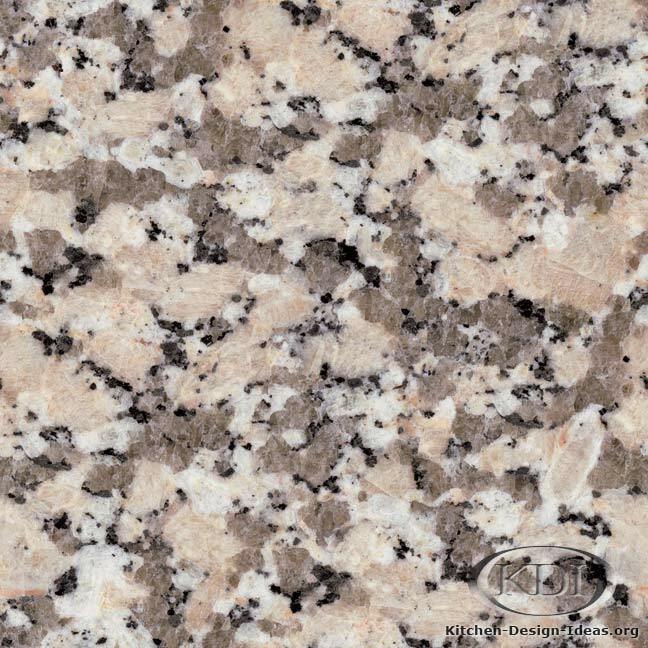 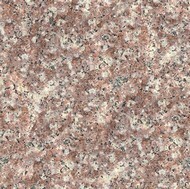 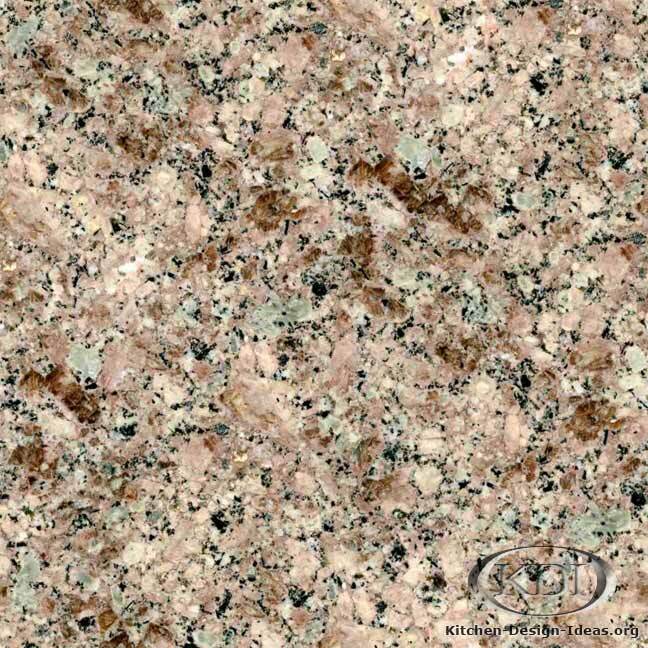 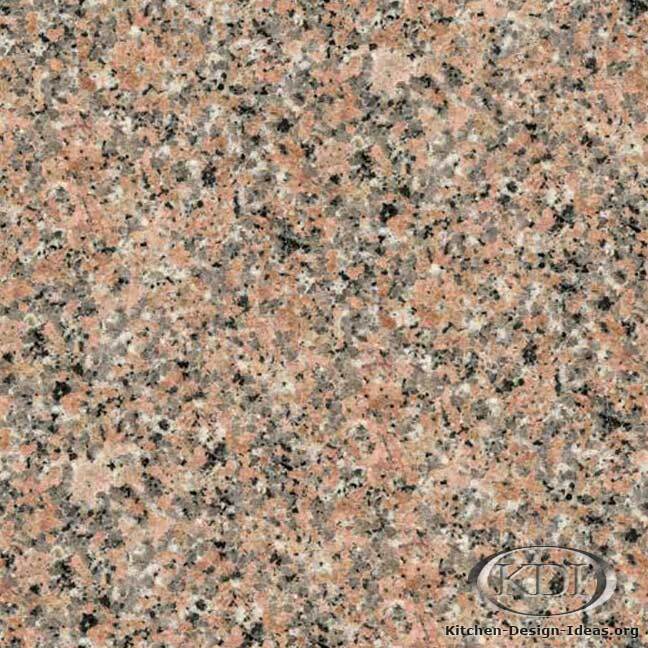 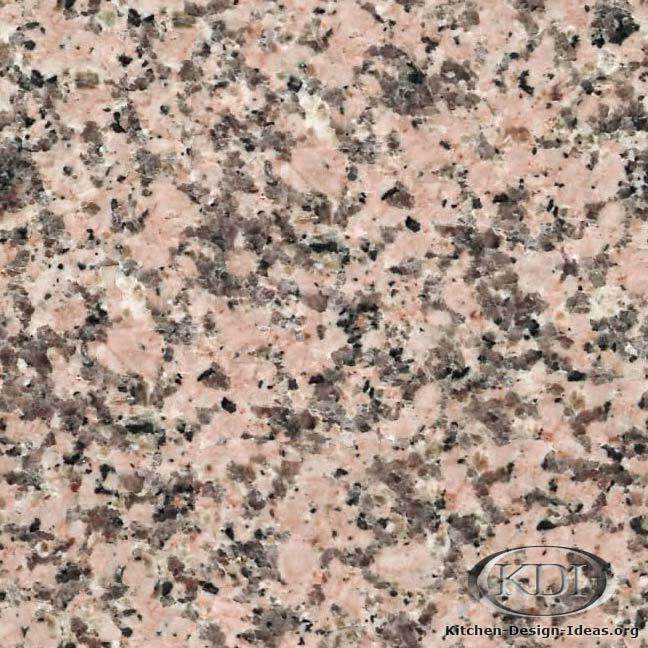 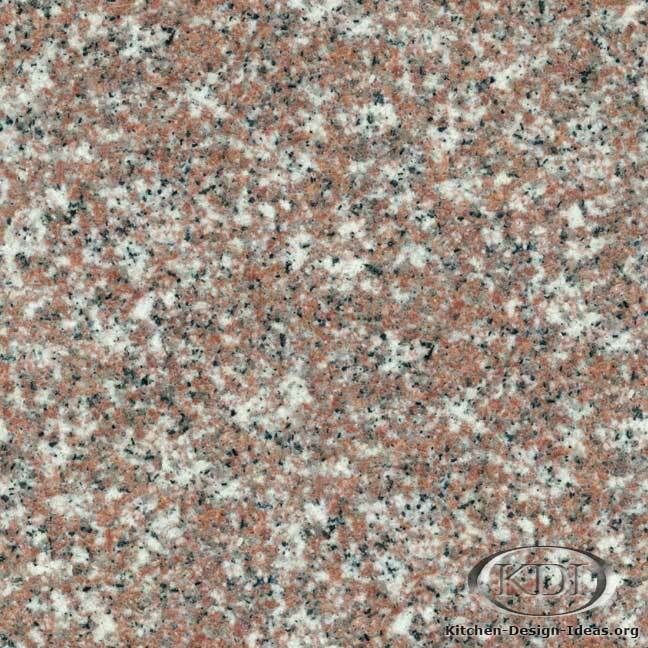 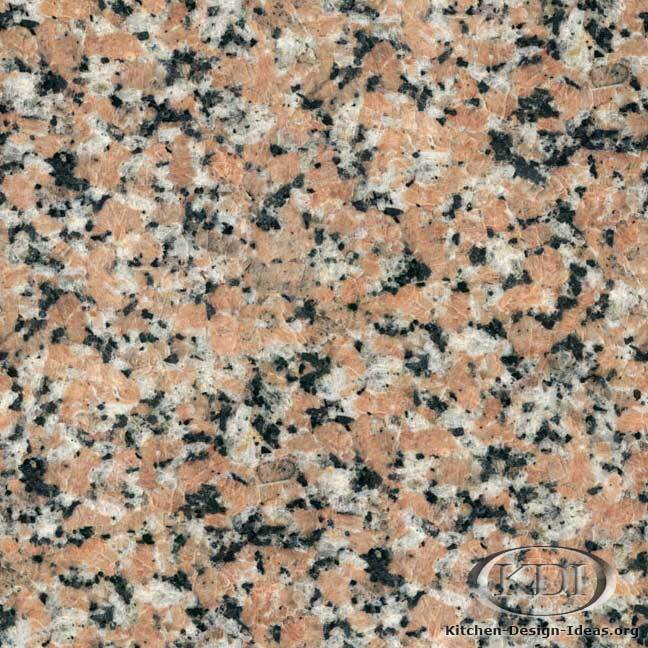 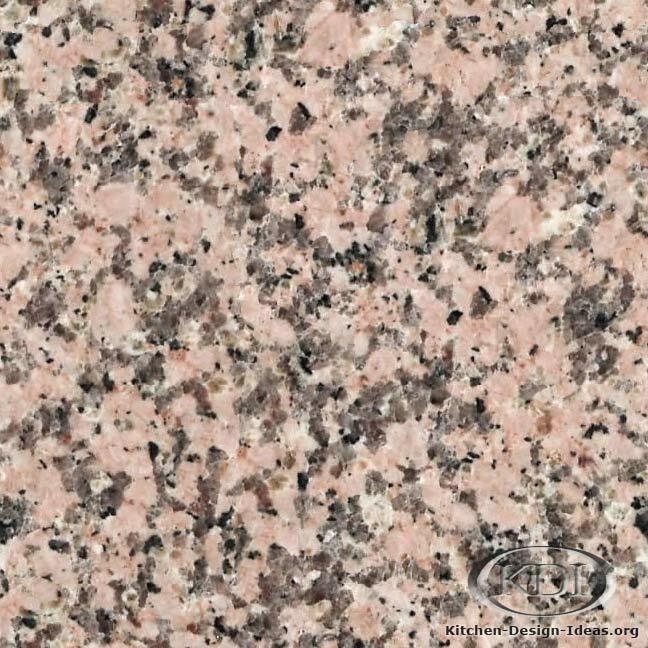 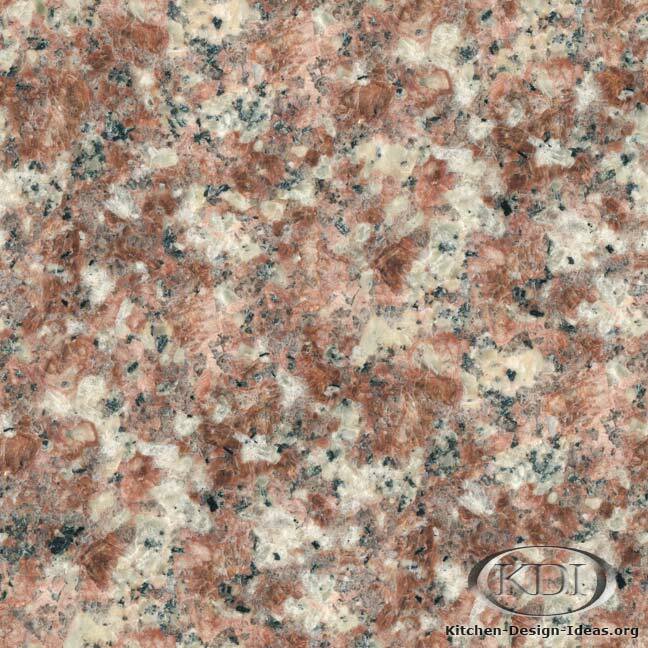 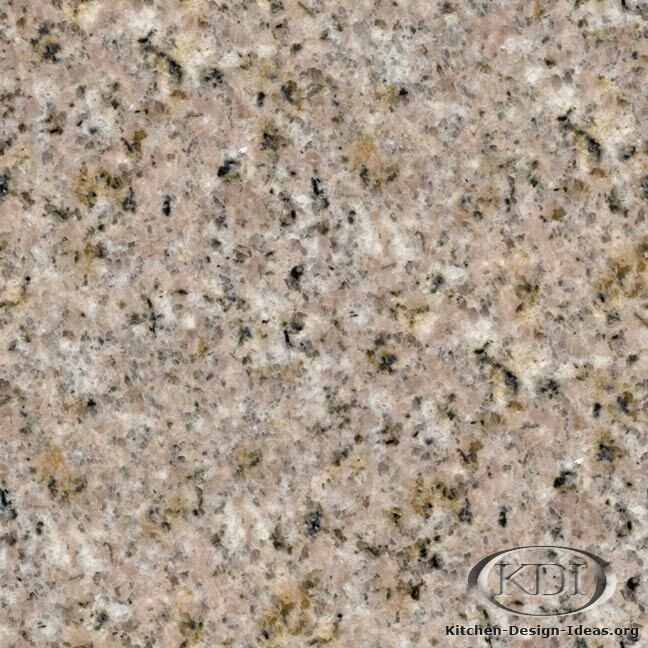 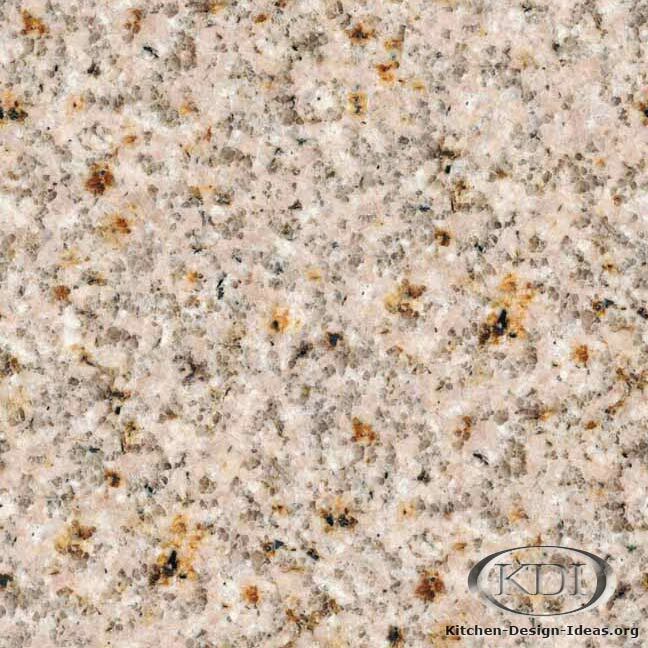 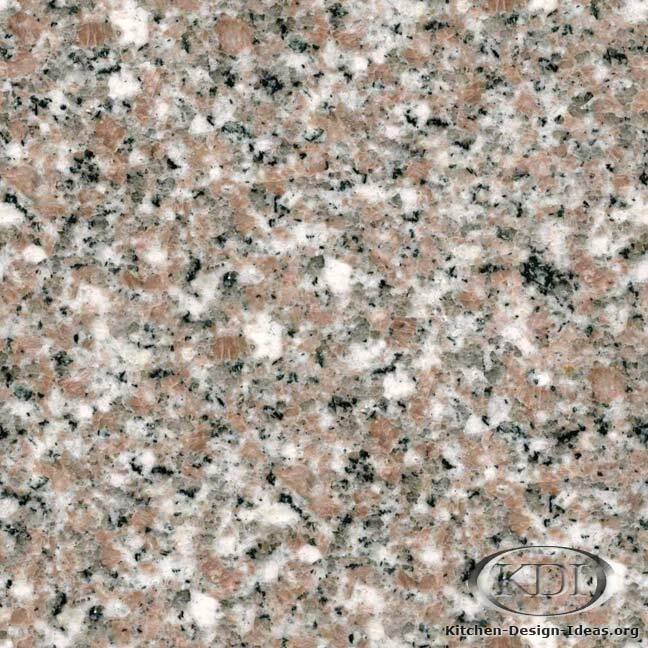 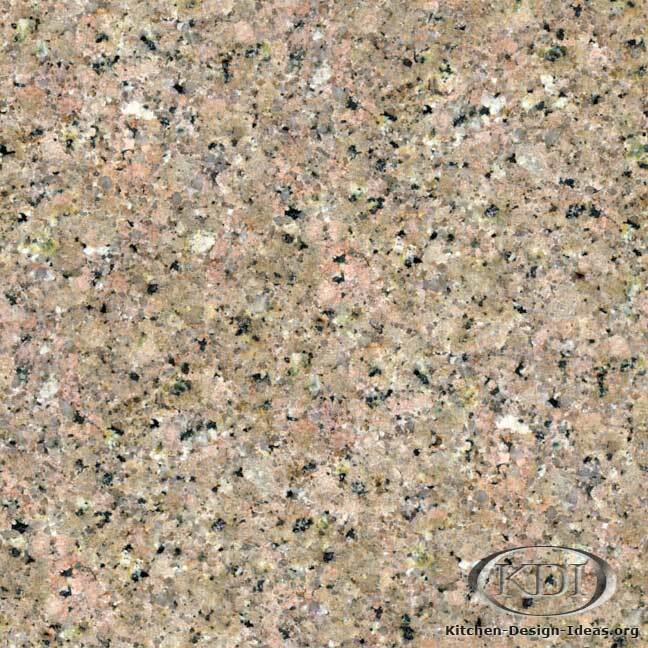 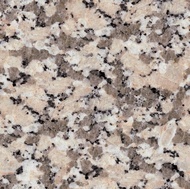 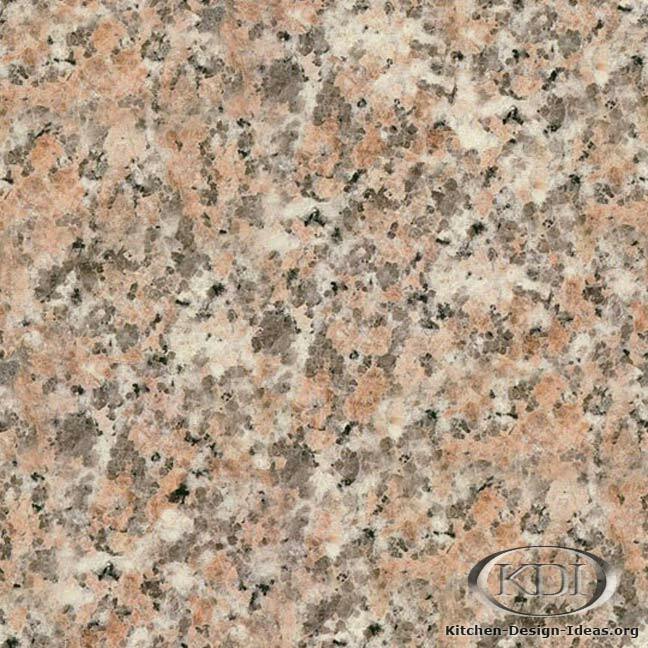 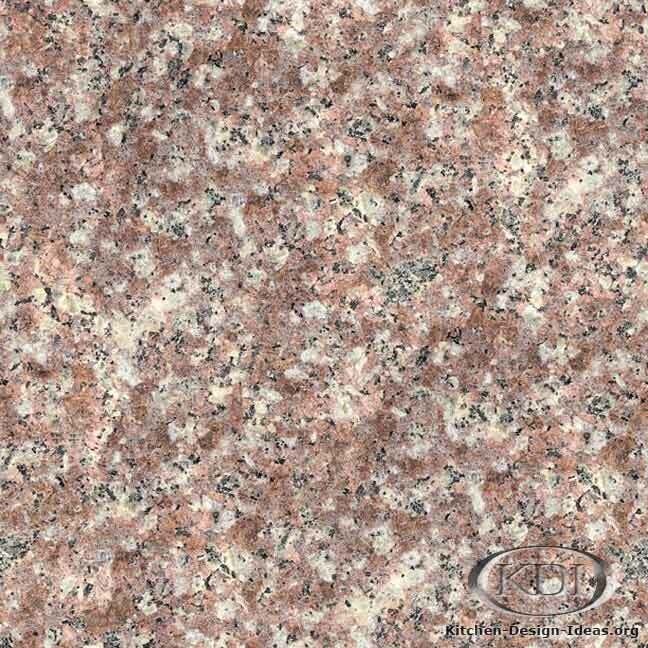 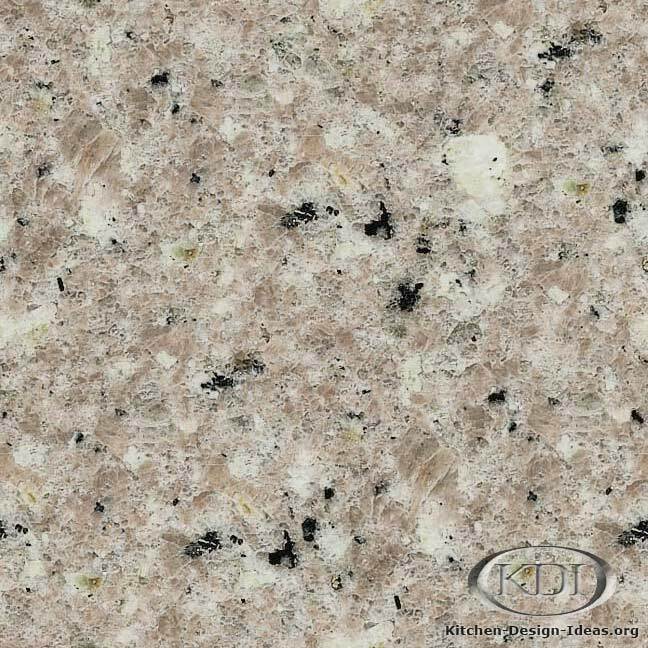 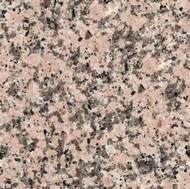 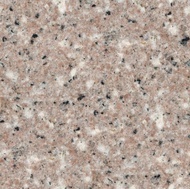 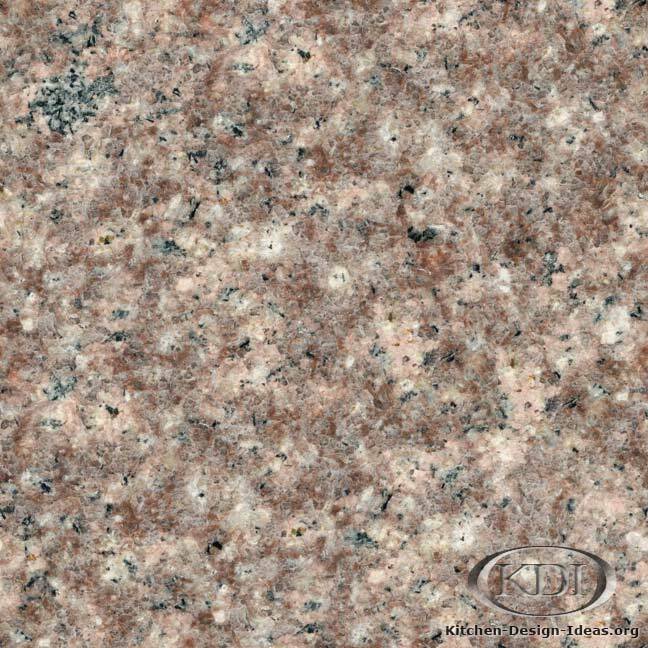 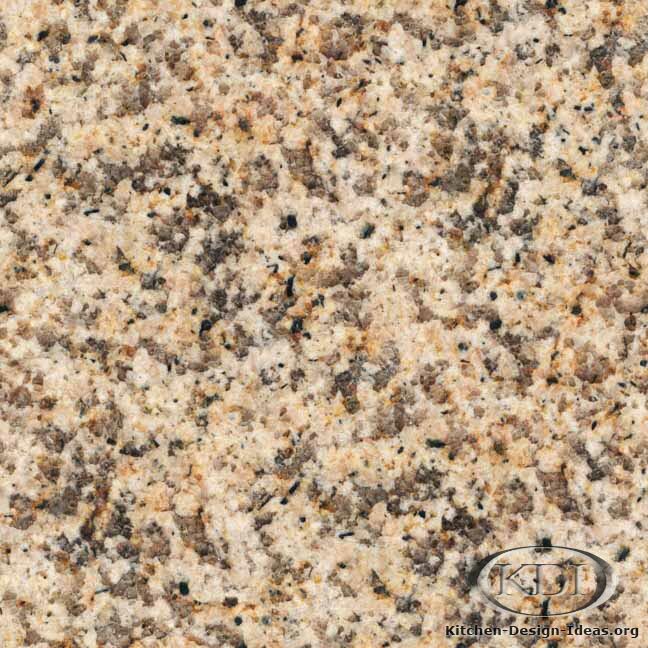 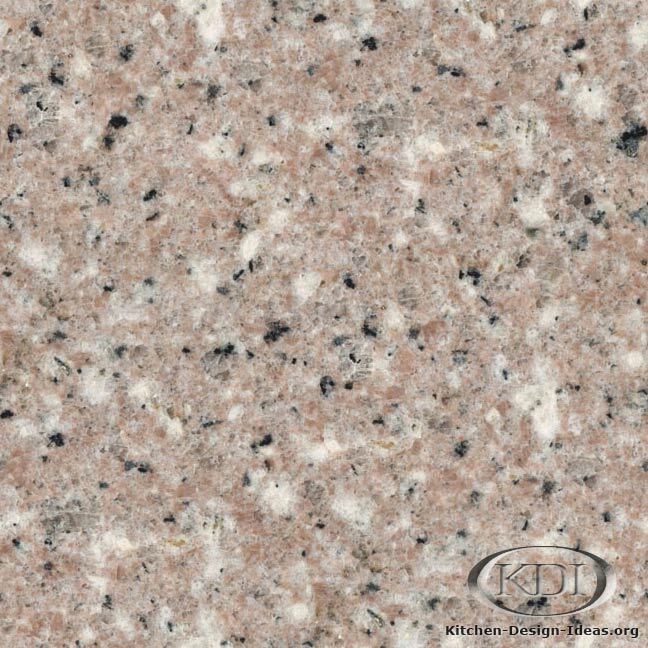 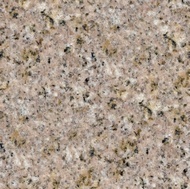 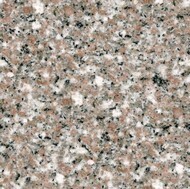 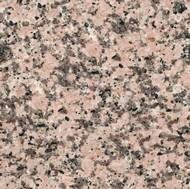 Designer Comments: More famously known by its trade name, Almond Mauve, G611 is a lovely granite with soft hues and natural charm. 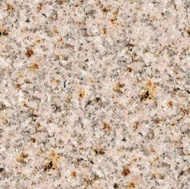 Look closely and you might notice some reflective crystals shining in a backdrop of pink, beige, and burgundy minerals. 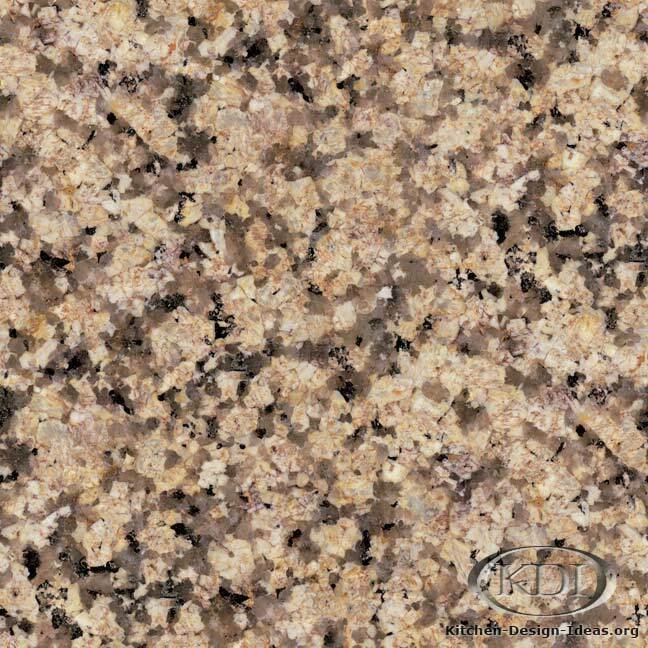 Sporadic brown and black deposits add depth and character to the stone, making it interesting to more than just pink enthusiasts. 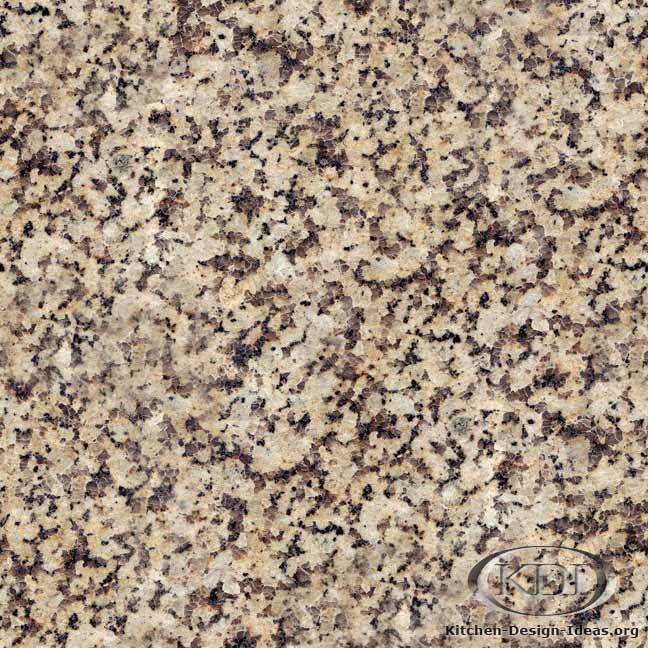 Consider combining it with white or cherry stained cabinets for a nice match. 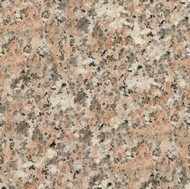 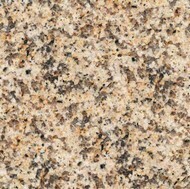 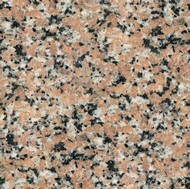 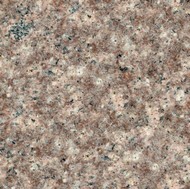 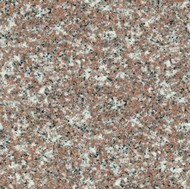 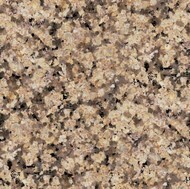 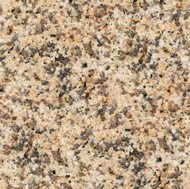 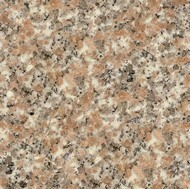 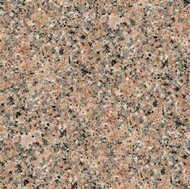 Scroll down to view similar granites in the gallery below. 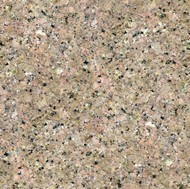 Caveat: Color and photo correctness is not guaranteed. 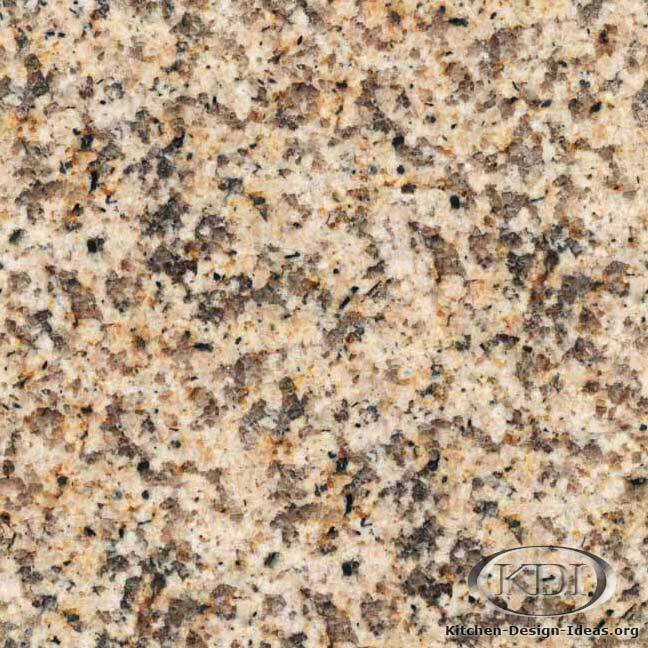 Since granite is a quarried stone, natural variations dictate that you will never find material that looks quite like this picture. 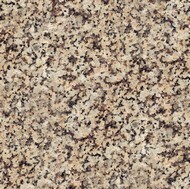 It could be vastly different in real life. 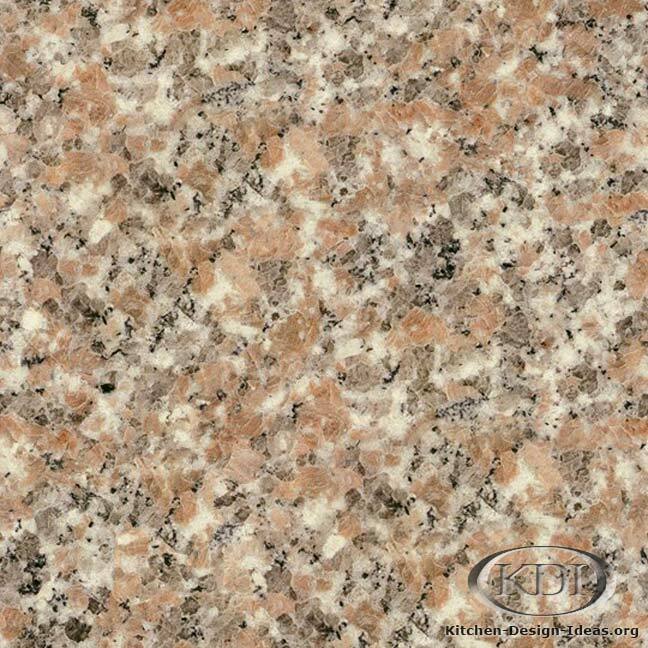 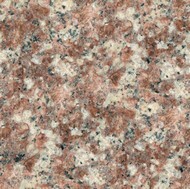 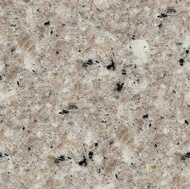 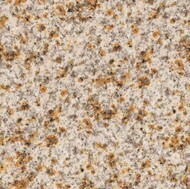 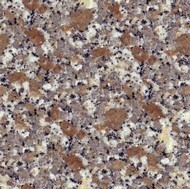 Therefore, be sure to preview your slabs in person before choosing granite for your kitchen remodel.